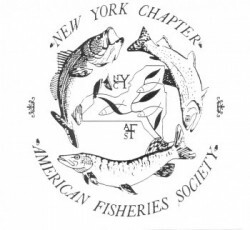 The ESF Student Chapter of the American Fisheries Society is dedicated to the preservation and conservation of aquatic resources, and to facilitating the information exchange between students, professionals, and the public regarding our knowledge of aquatic resources. It is a great way to get involved with a professionally recognized organization, make connections, improve your educational experience, and have fun! You can also learn about current internships and job announcements, as well as get involved in fishing trips, river clean-ups, and volunteering at the local fish hatchery. The organization is open to all students interested in fisheries science and management. You may put in as much time as your schedule allows. However, the more involved and active your membership is, the more you will benefit. To be a part of the Student Chapter attend our biweekly meetings during the Fall and Spring semesters. The location and dates will be posted later this summer. If you would like to get emails with information about upcoming meetings, job opportunities, and events we can add you to our listserv. Just contact us at: afssunyesf@gmail.com or reach us on our Facebook page. Feel free to post any volunteer opportunities or event ideas for the chapter. Joining AFS is a great idea for anyone interested in working in fisheries science! Student and recent graduate annual dues are affordable and there are many benefits to being an active member of AFS. Benefits include: monthly subscription to Fisheries magazine; special member prices for AFS journals (student members get free access), books and Annual Meeting registration; access to Membership Directory; professional certification. There are also options to join regional Chapters (e.g. New York Chapter) and Section Units (e.g. Fish Health Section, Fish Culture Section, Estuaries, Marine Fisheries, Water Quality, and many more). NEW!!! As a courtesy to students we will be offering opportunities for students to register for AFS during Chapter meetings. We will also manage sending the paperwork back to AFS headquarters for you! You will just need to complete a registration form and fill-in your financial information/attach a personal check. A student membership is $20.00 annually and joining the NY Chapter is an additional $5.00 (other Sections can be joined as well and their costs vary). Memberships are always available online at www. fisheries.org.